The flu kills hundreds of thousands of people around the world every year, yet there is essentially only one class of drugs to fight the ever-changing virus. Cases of flu resistant to this class of drugs have already been reported and researchers worry a completely new strain of flu could evolve, leading to a pandemic like the one in 1918 that killed approximately 50 million people. Many researchers are trying to develop new drugs to defeat the flu virus. But researchers at St. Michael's Hospital had a completely different idea. People who die from the flu actually die from respiratory failure, when the lung's tiny blood vessels start leaking fluid into the lung's air sacs. Dr. Warren Lee, a researcher with the hospital's Keenan Research Centre for Biomedical Sciences, wondered what would happen if someone developed a treatment that would prevent those blood vessels from leaking? Working with mice, Dr. Lee tested a new drug developed by researchers at Sunnybrook Hospital that acts on the endothelial cells that line the blood vessels. 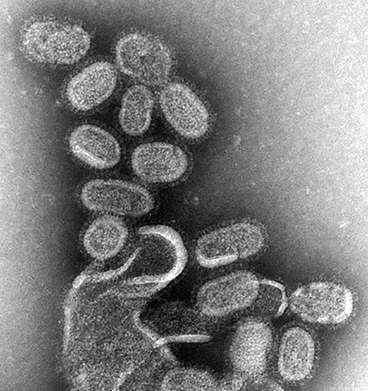 Their work, published today in the journal Scientific Reports, found that the drug, Vasculotide, was effective against multiple strains of influenza, including the 2009 swine flu pandemic strain. Without the drug, 100 per cent of the mice died within one week. With the drug, more than 80 per cent survived. The drug worked even if it was administered days after the infection began. Traditional antiviral drugs such as Tamiflu must be started immediately. The drug worked alone and in combination with antivirals. It worked without compromising the body's ability to mount an immune response to the virus. Dr. Lee, a critical care physician and cell biologist, said that while this research was conducted in mice, he found the results exciting since the drug was effective in two different strains of mice and three different strains of flu. He said that since the mechanism of blood vessels leaking into lungs is common throughout animals, he was optimistic the drug could be effective in animals other than mice, including humans. St. Michael's and Sunnybrook have jointly applied for a U.S. patent for the drug.